Victory Windows boast a wide portfolio of superb double glazing in Waterlooville and the surrounding areas such as Horndean, and Rowlands Castle. Whether it’s because we only stock the best windows in Waterlooville or because of our fantastic prices, Victory Windows are a firm favourite for Double Glazing in Waterlooville. Based in Portsmouth, Victory Windows are specialist suppliers of uPVC windows, doors and Conservatories. We don’t employ and sales people nor do we apply any sales tactics. Victory Windows are renowned locally, in Portsmouth, Havant and further afield for quality double glazing at the very best prices. Victory Windows are your approved local supplier of quality Double Glazing in Waterlooville at the very best prices. Call us today on 02392 824006 or 02392 666955 to speak to a member of our family run team. Victory Windows only deal in the very best Double Glazing in Waterlooville. Our uPVC products are of the highest standard available on the market today. Our halo product is a British manufactured and fabricated, designed to withstand the somewhat volatile British Elements and stand the test of time. uPVC does not warp, rust or discolour. Fitted with Pilkington K’s industry leading A-rated glass, all of our double glazing exceeds the highest possible standard of energy ratings and security measurements. Double Glazing in Waterlooville has been made easy thanks to Victory Windows (Hampshire), your local, leading installer of Double Glazing in Waterlooville and across Hampshire, Surrey and West Sussex. 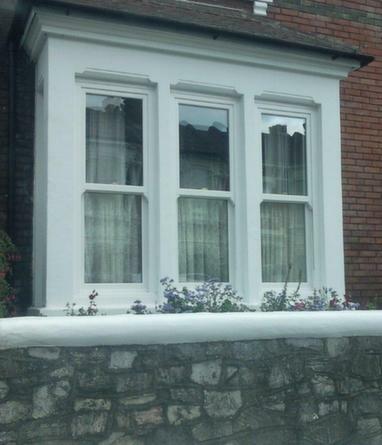 Our uPVC windows come in a wide range of styles. All windows are made to measure whilst you can have add decorative features such as Georgian Bars or diamond leaded bars. You can also choose your styles and openings, whilst our technical surveyor can ensure that all your windows are up to scratch with all building regulations. Whether you’re looking for a new bespoke uPVC front door or if you’re looking to replace a brand new set of bi-fold doors, Victory Windows have the solution when it comes to uPVC doors in Waterlooville. A wide range of security measures including multipoint locking systems and internal beaded systems ensures your home is kept safe. With such a wide range of designs available at prices that have never been so affordable it’s a great time to get a quote for Double Glazing in Waterlooville. With such a wide range of Double Glazing installers who work in the Waterlooville area it’s important that you don’t get caught out by companies offering fake discounts and not completing work to the standard that they should be. Victory Windows are a local, family run business, built over 25 years thanks to superb installation, excellent prices and an unbeatable reputation. Contact us here to arrange a call back.